I haven’t tried the Jeep Thrills Wii yet myself, but we’re thinking of getting a Wii and the Jeeper in me makes me want to try it. 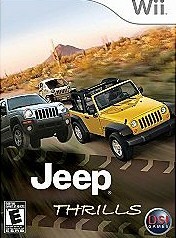 Anyways… would love to hear from fellow Jeepers if this is a decent pick for the Wii or not. Thanks in advance.